The good news is: lipglosses are getting more pleasant to use, while the brands transform from wax to gel formulas. This makes products more lasting, breathing and moisturizing. Rimmel, Clinique, Estee Lauder, Givenchy, MAC, Max Factor and other brands mark this transition by naming their newest glosses with titles that unclude “gel” one way or another. 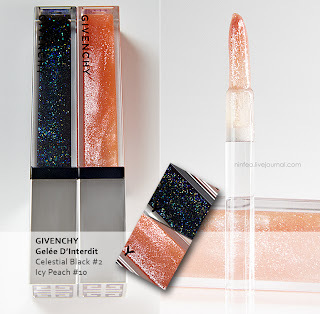 The new Gelée from Givenchy is not sticky at all and smoothes lips really well. 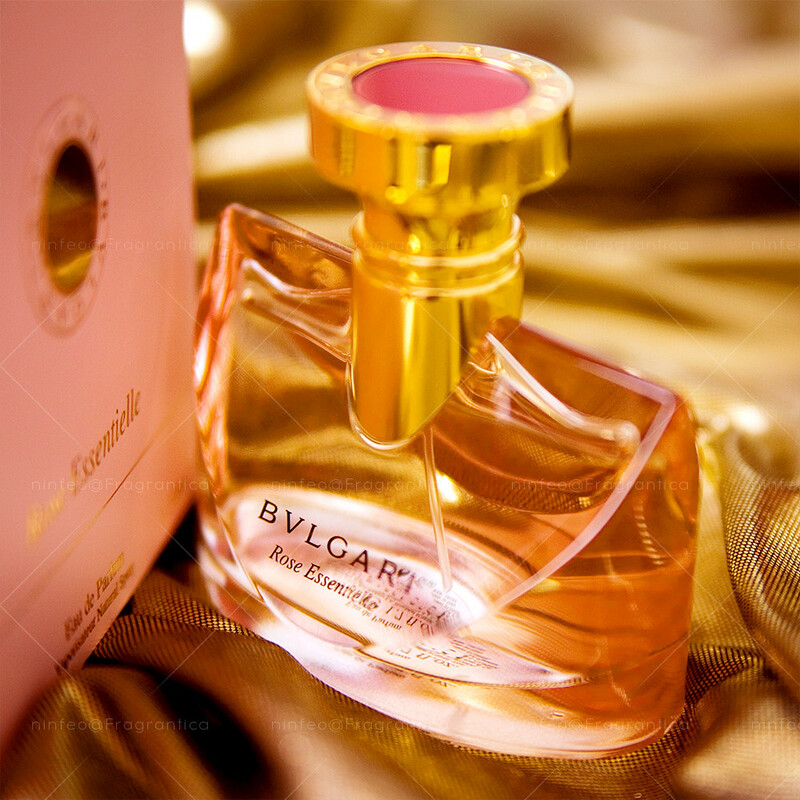 Hyaluronic acid is claimed as well as plant extracts for nourishing purposes. The tubes look really festive, smell cute and look like jellies with multiple sparkles. I bought two shades, both of which don’t offer much color. From the moment of first summer collection releases with promises of smooth lips delivered by this colorful range of glosses, I knew I needed “that weird one”. I assume it is good for any collection to have an item in it people will talk about. Black gloss, how is that? Well, actually it’s not black. It nothing but the “roack coat” for your lips actually, in order to tone down the shade of your lipstick. At close look it is like colorful glitters on pale grey background. You don’t get many glitters out of the tube, so it’s not like you get colorful lips, although when you look at lips closely, the impression is rather strange – as if you didn’t take of your yesterdays club makeup. Peach and glitters are young and summery! I don’t really like the applicator brush, so I would advise to apply the gloss onto lips and then simply rub lips against one another. Alternatively, you can use your normal lip brush. So I got two more transparant lip glosses. I don’t think everyone will become a fan of this slippery texture and childish glitters. Actually I wonder if the more saturated shades from the collection are just as subtle? The gloss is well-lasting and don’t slide down off your lips.